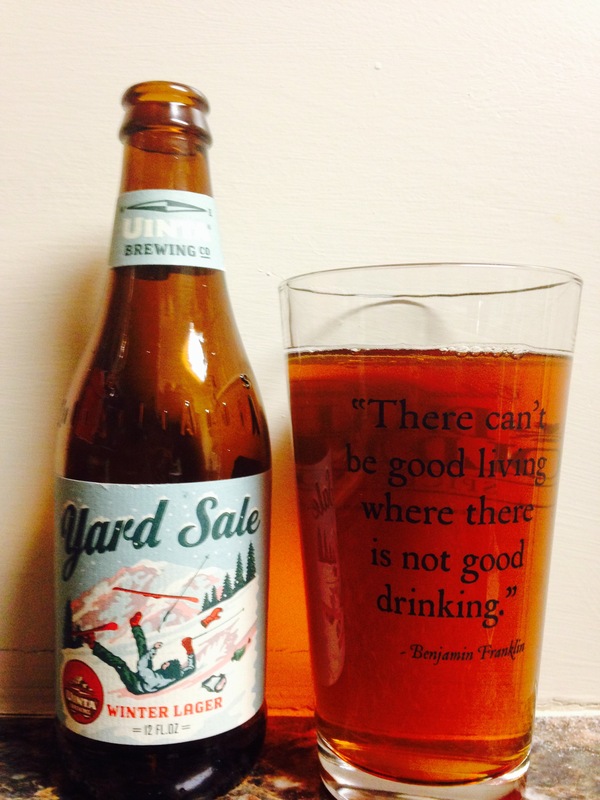 Here’s a late winter beer suprise, Uinta Yard Sale is pleasantly smooth. It has a light color, decent smell and no bad after taste. It isn’t special by any means but it isn’t bad either. Not sure of the alc content but I think it would take quite a few to make me fall down on my skis like the label picture. Middle of the road, 2.5 stars.